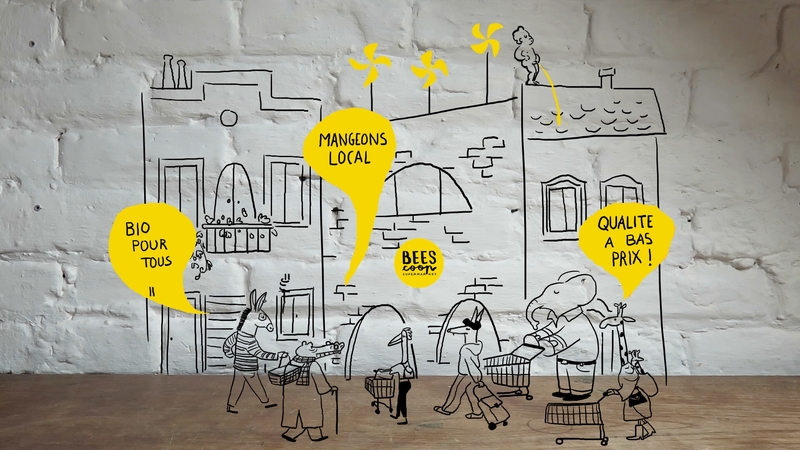 The BEES coop project consists in a cooperative, participatory and non-profit supermarket. 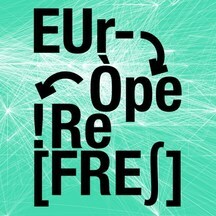 This initiative is carried by Brussels citizens willing to create an alternative to mass distribution. 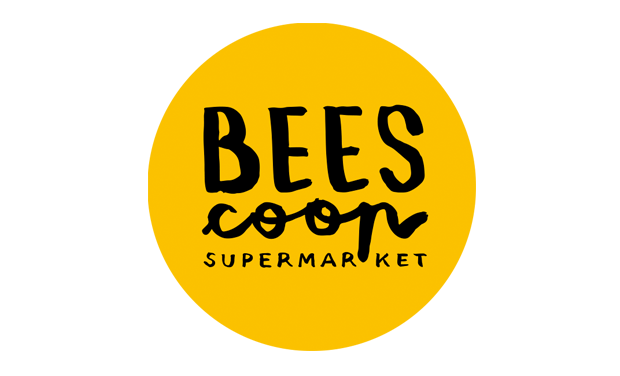 Because we want more diversity and we are tired of tasteless and overpacked supermarket products; because we strive for products respectful of human beings and the planet; and most of all because we wish to know what we are eating and to be able to make conscientious choices, we are creating the BEES coop. A shop where you can purchase everything you need, where a simple tag clearly indicates the origin and quality of all products. 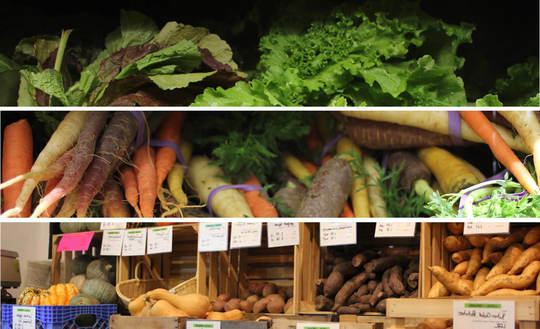 Most of them will be organic, as local as possible, conditioned in the most ecological way or available in bulk. You will find fresh and healthy food coming from producer cooperatives or fair trade. This citizen project aims to represent Brussels’ social and cultural diversity. 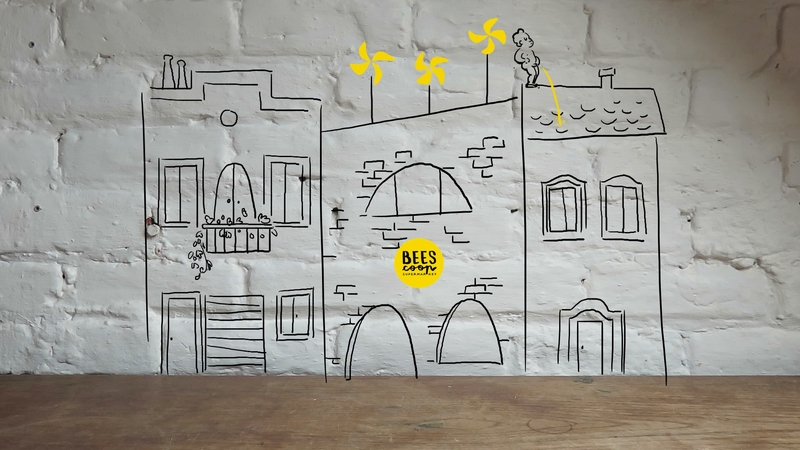 BEES coop is a place for meeting and social bond, rooted in its neighborhood. The client is also property-owner and voluntary worker. She owns at least one share of the cooperative, participates in strategic decisions and works 3 hours a month in the supermarket. The project was launched by a group of young citizens related to the Réseau ADES, inspired by the Park Slope Food Coop in Brooklyn and La Louve in Paris. They were quickly joined by citizens of all ages and now develop the project together. The project is entirely run by its members (currently 360). 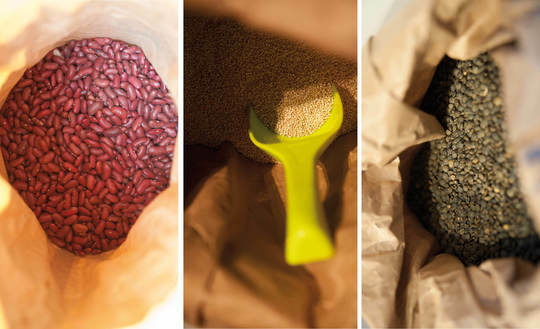 Together they work on the creation of the first cooperative and participatory supermarket in Belgium. 80 people among them also take actively part in thematic working groups such as Communication, Business Plan, Accounting, Supply, etc. Besides these thematic groups, 3 people are working fulltime for the cooperative thanks to financial support by the Ministry of Environment and two research projects in collaboration with the ULB. In order to get used to distribution and partnerships with producers, to test the products and match supply with the needs and preferences of the participants, a buying group was created one year ago. It quickly reached its maximal size. The opening of the shop is scheduled for September 2016. 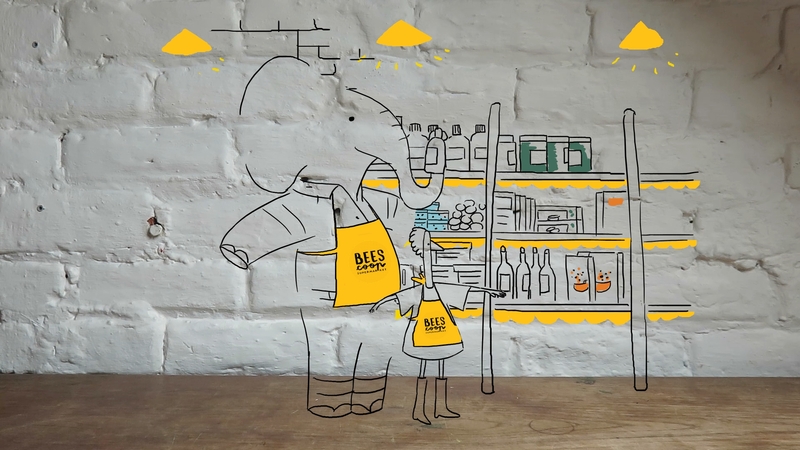 People willing to shop at BEES coop will be able to buy cooperative shares from January 2016 on. 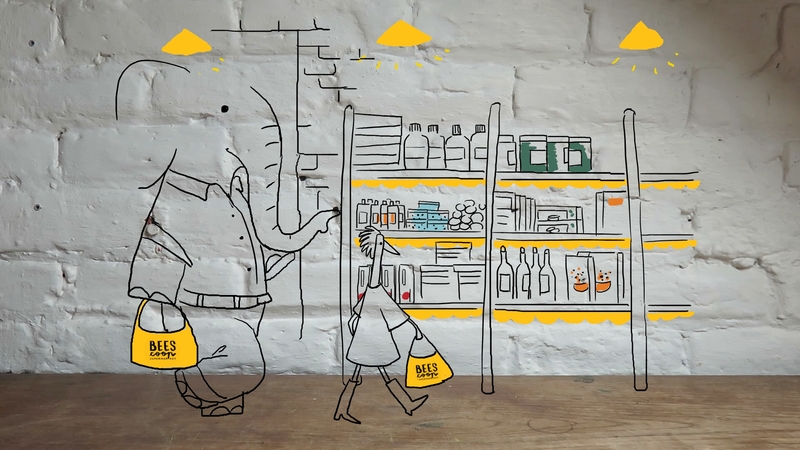 The fundraising will allow us to open this first cooperative, participatory and non-profit supermarket in Brussels. Most of the participatory financing will permit us to start working on the premises, finance the first equipment, shelves, checkouts, etc. The activities of the cooperative will take place in a former bread factory. The commitment and trust provided by the contributors will illustrate the mobilizing strength of our project. This is a major asset for convincing future financial partners and interlocutors. We warmly welcome you to the official opening of the BEES coop. You will receive a sachet of organic seeds stamped "BEES coop", to grow your herbs. To take away at the official opening night to which you are warmly invited. You will receive an organic and FairTrade cotton bag with a "BEES coop" silkscreen at the opening night. During the opening night you will get to choose, among a wide range, one t-shirt* with a "BEES coop" handmade silkscreen. * Thanks to you and our partner Les Petits Riens, these t-shirts will enjoy a second life. Zythology time: tasting and discovery of home-made beers from Belgium and abroad. This tasting will take place on Thursday 17th March or 28th April at 7 pm. 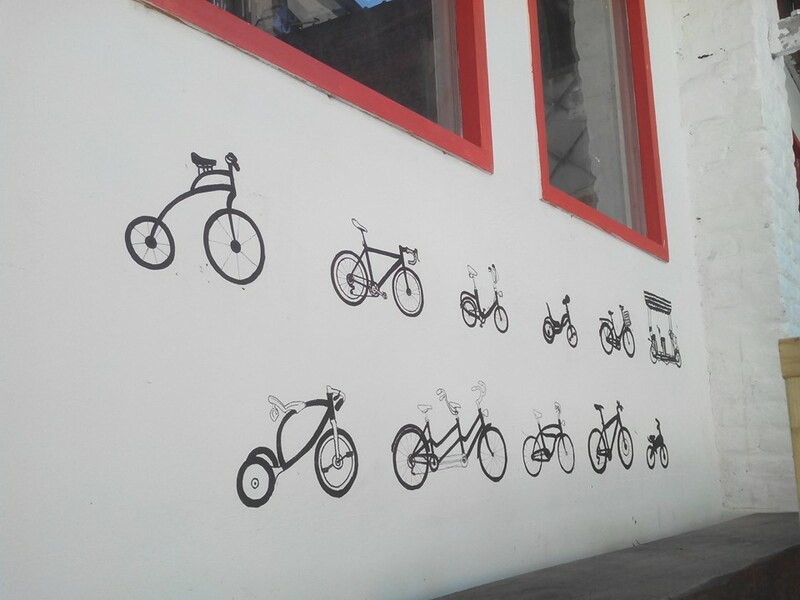 You will be offered two hours of help for repair and maintenance of your bike at the RacàGnac bike workshop in Saint-Josse. You will be the first clients of the supermarket! Exclusive access will be offered to you before the official opening of the shop! Moreover, you will receive an organic and FairTrade cotton bag with a "BEES coop" silkscreen to go shopping. You like BEES and silkscreen? You will receive a t-shirt* with a "BEES coop" handmade silkscreen and an organic cotton and FairTrade bag. * Thanks to you and our partner Les Petits Riens, these t-shirts will enjoy a second life. 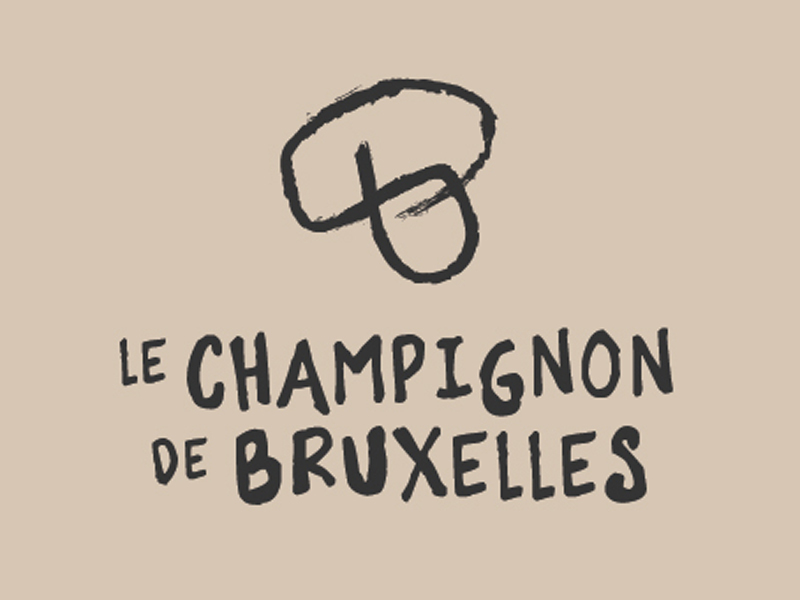 Discover an innovating and fascinating project: we offer you to visit the Champignon de Bruxelles! Sevan, Hadrien and Raphaël reuse brewing dregs to produce delicious Shiitake mushrooms! Visit + pack of Shiitake + receipe. On Saturday 12th or 19th March 2016. Convivial aperitif with the founders and active members of the project. Meeting moment in the future supermarket. Exclusivity! This event would take place on Thursday 14th April or Friday 22nd April at 6 pm. Oenology time: tasting and discovery of organic and natural wines. 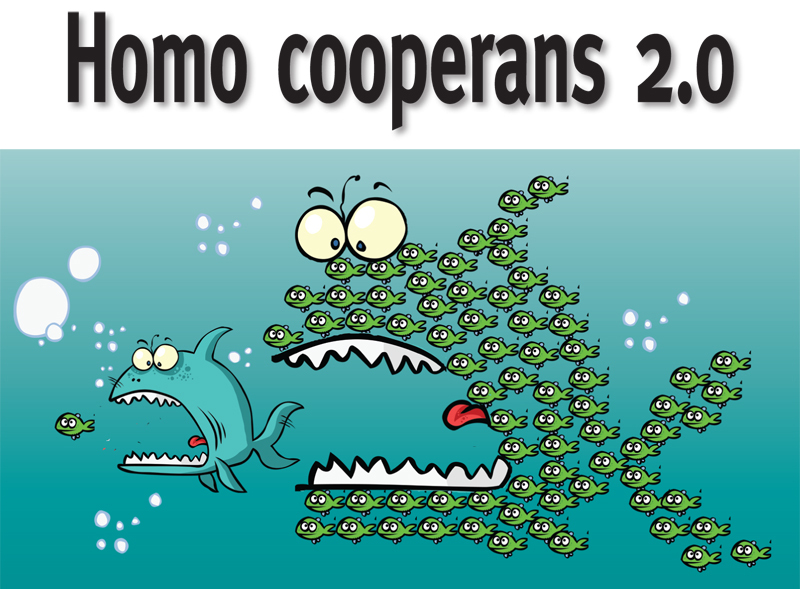 On Thursday 21 January at 7 pm. Thank you so much for your support! Please contact us in order for us to find the most appropriate counterpart. 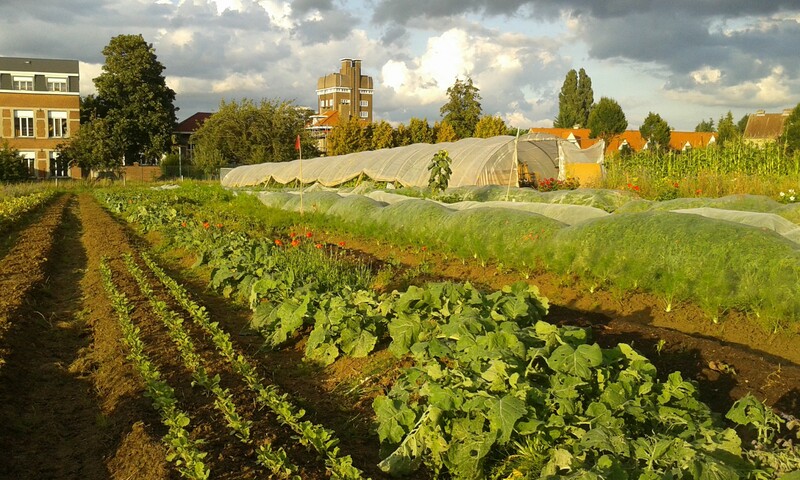 On vous invite à partir à la découverte de la ferme du champs des cailles - Une aventure d'agriculture urbaine au cœur de Bruxelles. Citoyens, éleveurs et maraîchers s'y retrouvent pour y pratiquer une agriculture conviviale et à taille humaine. Visite du champs et dégustations de fromage et de jus artisanal. 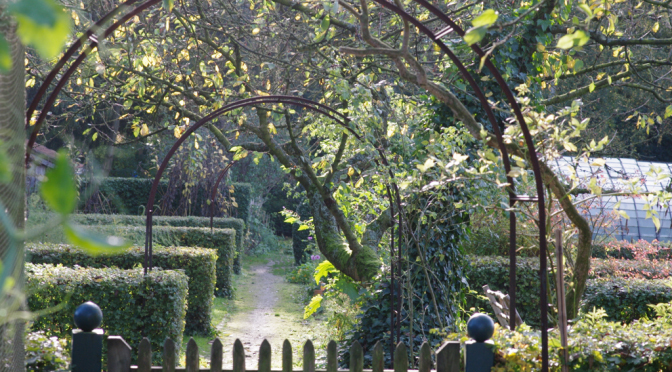 Vous aurez la chance de participer à la visite du magnifique jardin de Muriel à Overijse. Une rencontre avec une passionnée qui vous initiera à la permaculture, aux interactions entre potager, verger, ruche, bassin écologique, prairie fleurie, compost et serre. Cette visite aura lieu le 5 juin 2016 à 15h, date à la quelle le jardin sera le plus beau! 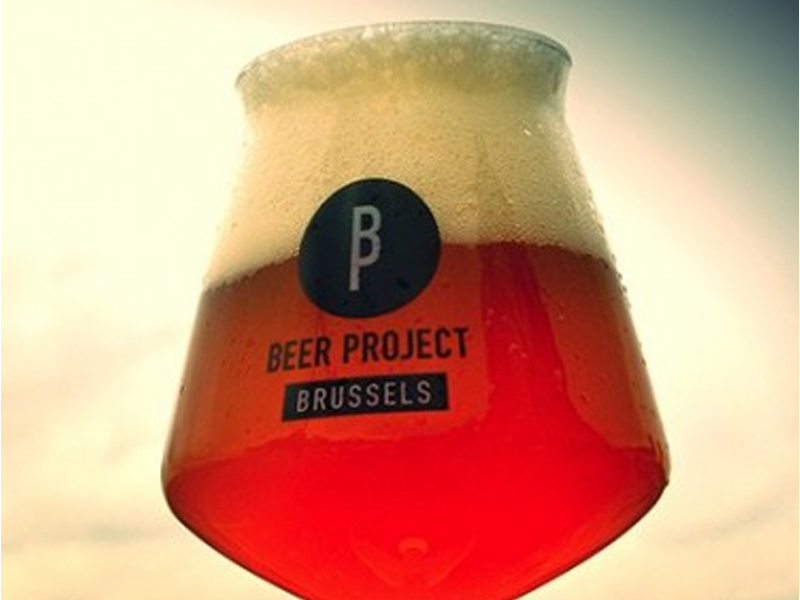 Discover the Brussels Beer Project with a visit and tasting in the brewery, on Dansaert street. 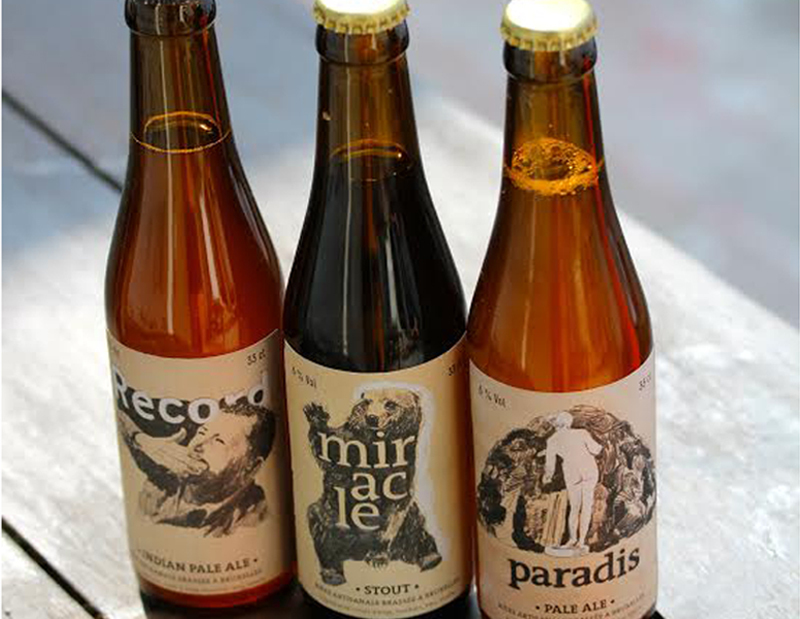 Sébastien and Olivier will introduce you to their project and their beers. This event will take place on Saturday 27th February at 5 pm. We will deliver at your home a breakfast basket composed of products sharing BEES coop's values. You may choose among the following dates: Saturday 9th or 16th April; Sunday 10th or 17th April (This holds for the 19 municipalities of Brussels). 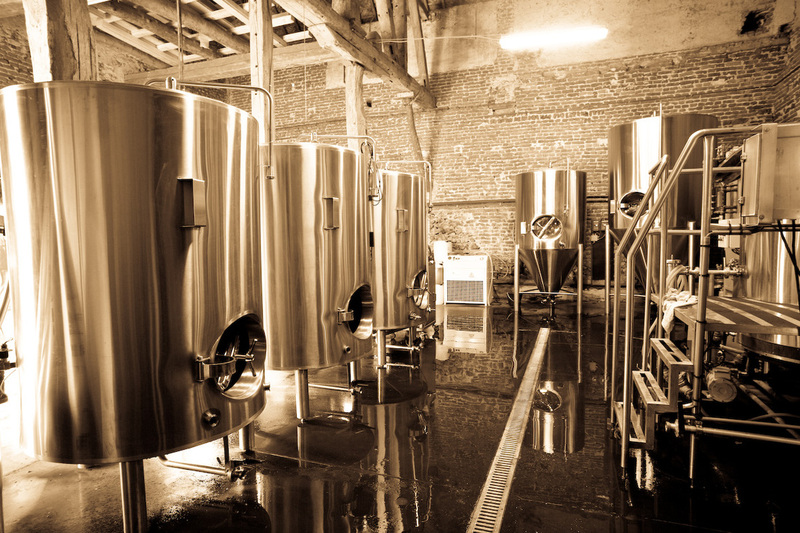 Learn to brew your own beer: discovery of the basic ingredients and brewing on a pico-installation. Create the first BEES coop brew! This experience will take place on Saturday 5th March 2016.